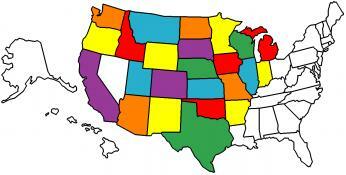 NOTE: this entry will probably appeal more to weatherbugs. We got a weather alert today for graupel and we had to look it up. 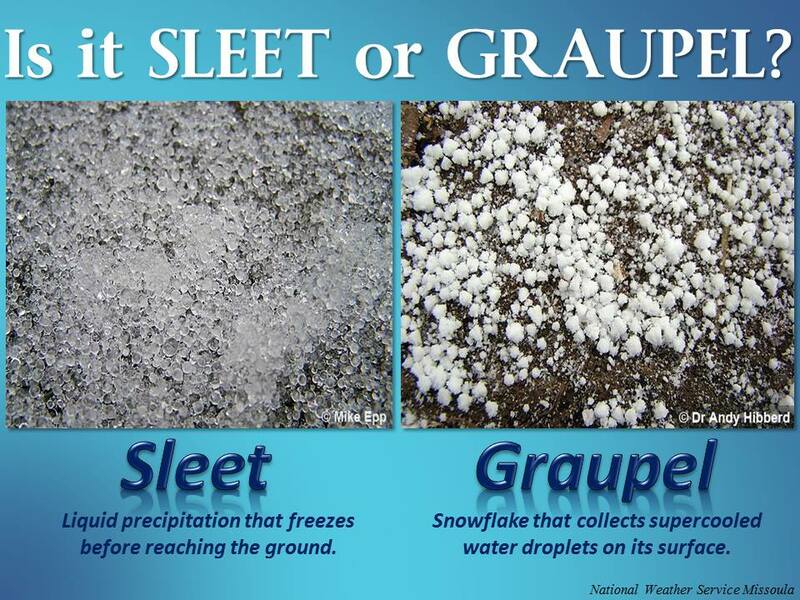 Turns out graupel (aka soft hail or snow pellets) is one of the many types of frozen precipitation. 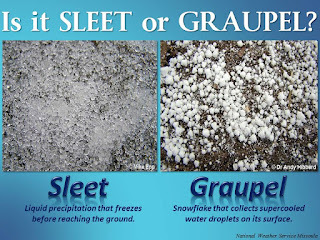 But what is graupel you ask? Here is some graupel on our truck bed cover. 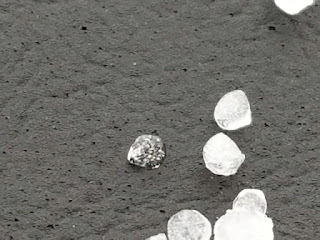 From the web comparing sleet to graupel with better photos. It has been a wild two weeks going from running the furnace to needing to run the air conditioner to hearing graupel on our roof right now.